When it comes to putting in a new parking lot, we know many people picture that rich, dark, black asphalt. Some people likely think of the freshly painted parking spaces or even the asphalt curbing to protect the landscaping. But there’s one vital aspect of a parking lot that’s sometimes overlooked: parking lot drainage. It’s easy to overlook parking lot drainage since, if done right, it’s largely invisible. But when done wrong (or overlooked altogether), you may be left with a serious water issue on your hands. While a bit of water may seem harmless when sitting on hard asphalt, the two actually don’t mix well at all. Proper parking lot drainage is crucial to ensuring the longevity of your parking lot. When water collects on the surface of your asphalt, it not only creates problems for cars and pedestrians but also can actually damage your asphalt surface. It’s best to consider parking lot drainage before it becomes a problem. If you see pooling water or water running down the middle of your parking lot, it’s probably time to consider addressing your drainage situation. But the signs may not always be so obvious. 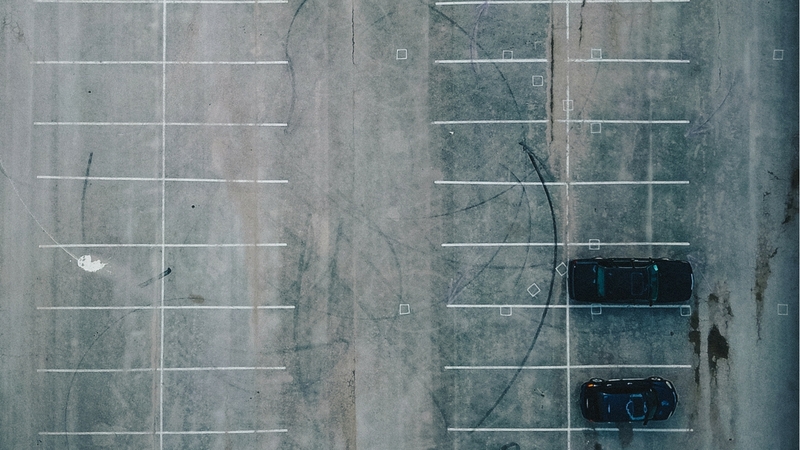 If your parking lot is having drainage issues, oftentimes you’ll see sand, rocks or what looks like a dusty residue in low spots across your paved surface. This is a result of water breaking down your asphalt and carrying the sand and silt from the asphalt with it. When it pools and then dries, it often leaves behind residue for you to find. Correctly installing a drainage system for a parking lot requires many components to work in concert. Parking Lot Slope – The slope of your parking lot plays a significant role in the effectiveness of your parking lot drainage system. You need to ensure your parking lot slopes enough to force water to run to those areas you intend it to. Asphalt Curbing – Installing asphalt curbing can help direct the flow of water off your parking lot and into a grassy area or inlet. Water will run to the curb line and then follow it to a proper drainage point. Drains and Inlets – By strategically placing drains and inlets throughout your parking lot, you can provide water a place to run off the surface of your parking lot. We know this may be more than you really want to know about parking lot drainage, but if you still have questions please let us know. We’re happy to help out.